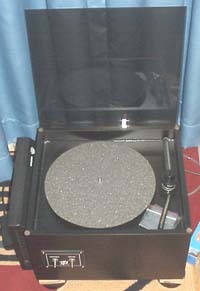 Our 3rd and final destination of the day... Jeffrey's fully treated listening room and the only turntable setup among the 3. 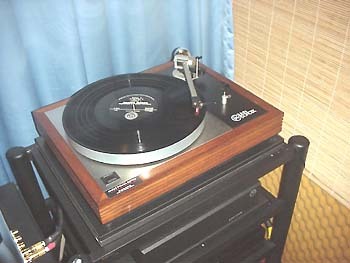 The classic... Linn Sondek turntable. 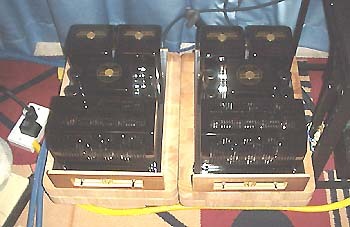 Audiospace monoblock power amps, model 9mkIII placed on Ikea chopping boards. Tweak: $1 coins on top of chokes and transformers. 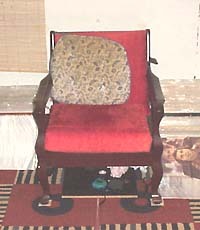 Nice little antique chair at the sweetspot. 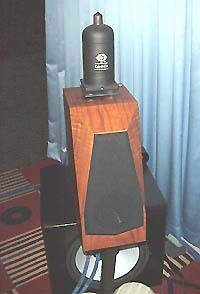 Avalon Monitor with dedicated stands, with a Sonic Enhancer placed on top. 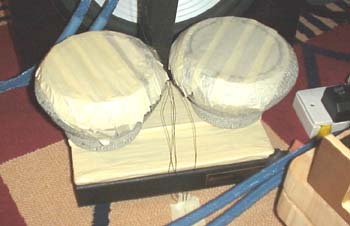 Tweak: To increase stability, mortar (without the pestle) was filled with leadshot and placed on the base of his Avalon speaker stands. 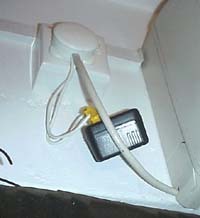 Audioprism quietline contraption on the air-con power socket. He also has one on the refridgerator. 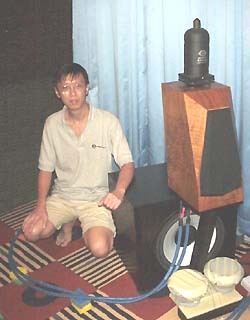 Here's Jeffrey beside his humongous Genesis subwoofer.